Braun’s Nativity Scene – or the Bethlehem of Braun or Kusk Forest Sculptures is a complex of Baroque statues and relieves carved by famous sculptor Matthias Bernard Braun directly in sandstone rocks in the forest near complex Kuks Hospital in Northern Bohemia, Czech Republic. Part of the sculptures in the New Forest is ranked the best works of Czech Baroque sculpture. Since 2002, the area is protected as a National Historic Landmark and were listed in the 2000 World Monuments Watch by the World Monuments Fund. Kuks Forest Sculptures – Arrive of the Magi – detail of the Baroque relief by Matthias Bernard Braun from 1727, Czech Republic. 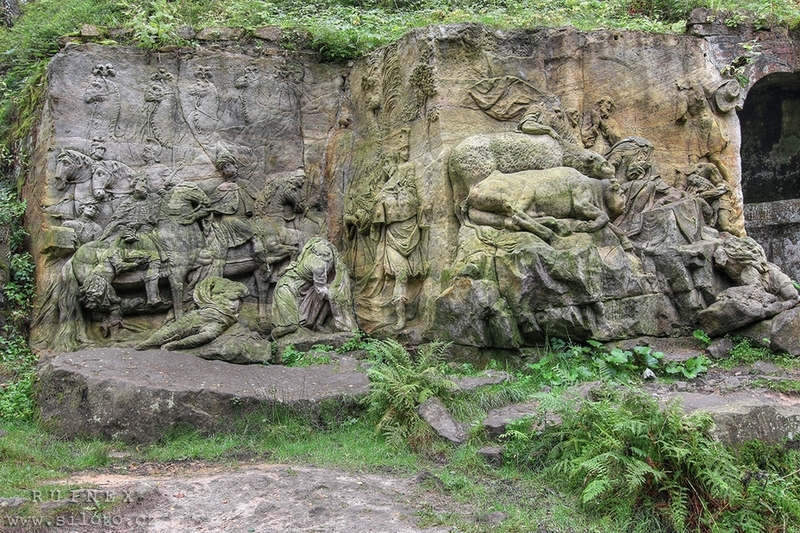 Braun’s nativity are statues and a sandstone reliefs in the woods near Kuks village. These statues were carved by famous sculptor Matthias Bernard Braun in the years from 1711 to 1734. Since 2002 is the area protected as a National Historic Landmark and were listed in the 2000 World Monuments Watch by the World Monuments Fund. Kuks Forest Sculptures – Hermit Juan Garin – detail of the Baroque sculpture by Matthias Bernard Braun in the Bethlehem of Braun, Kuks, Czech Republic. The Bethlehem of Braun (Czech: Braunuv Betlem) is a complex of Baroque statues and relieves carved by famous sculptor Matthias Bernard Braun directly in sandstone rocks in the forest near complex Kuks Hospital in Northern Bohemia, Czech Republic. Part of the sculptures in the New Forest is ranked the best works of Czech Baroque sculpture. Since 2002, the area is protected as a National Historic Landmark and were listed in the 2000 World Monuments Watch by the World Monuments Fund.